Whitney Houston’s will has been made public and it has revealed that the late superstar has left everything in her possession to her daughter Bobbi Kristina Brown. All of Whitney Houston money, as well as her personal effects, has been willed to Bobbi Kristina Brown. According to a court document, which was obtained by Inside Edition, Whitney Houston, who died on February 11 aged 48, first set up the will in 1993. The singer then amended it in 2000, while she was still married to Bobby Brown. Bobby Brown will not receive anything, although he is mentioned in the document itself. Allegedly, money left by Whitney Houston to Bobbi Kristina will be put into a trust which the teenager will be given access to when she turns 21. At that time, in 2014, Bobbi Kristina Brown will receive a portion of the inheritance, before being given another chunk at the age of 25. Bobbi Kristina will receive the rest of her inheritance in a final installment on her 30th birthday. According to BANG Showbiz, Whitney Houston’s mother Patricia “Cissy” Houston is the executor of the will and her brother, Gary, and sister-in-law, Pat, are trustees. Whitney Houston and Bobby Brown were married for 14 years, but they signed a prenuptial agreement before they tied the knot in 1992, which banned Bobby from accessing her will. The prenuptial agreement stated: “Houston shall have the right to dispose of her Separate Property by Last Will and Testament in such manner as she may, in her own uncontrolled discretion deem proper. It has emerged that Bobbi Kristina Brown will inherit everything from her mother’s will – but her family are hoping she doesn’t inherit Whitney Houston’s fame. 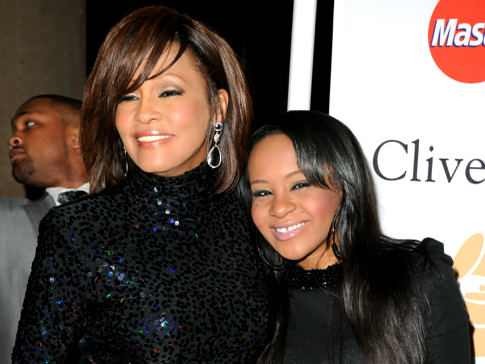 Whitney Houston’s family reportedly wants Bobbi Kristina out of the “limelight”. A source told People magazine: “There is still no resolution and there has been nothing concrete on the cause of death, and they were hoping for that. American Idol: Jessica Sanchez performed Whitney Houston's "I Will Always Love You"